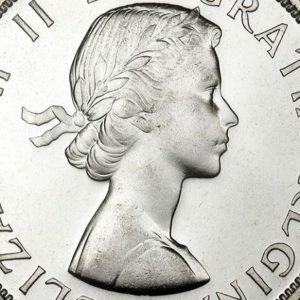 Usher in the Year Of The Rooster with this beautiful Lunar Series coin produced by the Perth Mint! 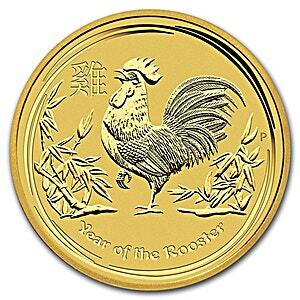 The 10th coin of the popular Lunar Series features a Rooster standing on one feet in a field of bamboo and leaves, symbolizing strength and wisdom. Those born in the Year of the Rooster are said to be honest, courageous and hardworking. Perfect as a gift or as a beautiful addition to your collection!